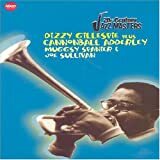 In 1955 Adderley joined his younger brother, cornetist Nat, in New York and was immediately accepted into the upper echelon of players. After a stint with Oscar Pettiford’s band, and a short-lived group with his brother, he joined Miles Davis in 1957 and appeared on the seminal recordings, Milestones and Kind of Blue. 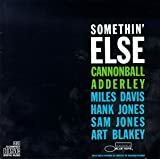 In 1958 Cannonball recorded what is probably his most famous album, Somethin’ Else, with Miles Davis, Hank Jones, Art Blakey, and Sam Jones. Adderley’s exuberant, blues-rooted alto, Davis’ shimmering trumpet, and a flawless rhythm section have made this entry a classic. The brothers formed another quintet in 1959, and their first recording, Them Dirty Blues, was a joyous affair that had great appeal for listeners. 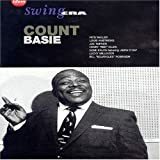 They enjoyed a huge hit with pianist Bobby Timmons’ “This Here,” and Timmons’ replacement Joe Zawinul composed the quintet’s next big hit, “Mercy, Mercy, Mercy,” their biggest seller. Cannonball recorded another classic album in 1961, Know What I Mean? with pianist Bill Evans (who had appeared with him on Kind of Blue), and half of the Modern Jazz Quartet--bassist Percy Heath and drummer Connie Kay. He showed himself to be quite the balladeer in this grouping. 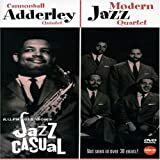 Adderley straddled the transitional period of ‘50s hard bop and the soul jazz of the ‘60s. Late in his career he experimented with soprano sax and electronics. He was one of jazz’s top alto saxophonists, and his ebullient personality made him a favorite with audiences. His career was cut short by his sudden death from a stroke at the age of 46.